Celebrating An Anniversary Part VII – Sonic the Hedgehog – 3WIREL! We continue rolling through the Dark Age of Sonic with one of his most infamous adventure but also covering Sonic’s first Wii adventure which is a mirror reflection to his infamous adventure. Up to this point, we really only talked about two bad games (Shadow & Genesis), but Sonic the Hedgehog 2006 is infamous for its quality and we will be discussing what went wrong for the final release of the game. Before the final release, there was a lot of hope and promise. SEGA released two impressive looking tech demos of the game in action in 2005, with one showing Sonic running through large, open planes with miles of land to spring through. Closing with the Blue Blur turning Super Sonic, many were hyped. I remember printing a screen shot of the game after that footage released and taped it on my wall as a make-shift wall paper; I was that impressed with the footage. The second clip that came out saw a Sonic running across old castle grounds. SEGA showed of the time & day system the game was supposed to have & the Havoc Physics system with creates falling apart into pieces and scattering all over the place. This footage also impressed many and we were all excited about the games 2006 release. More trailers came out with story being showed; very human looking characters alongside Sonic & Friends, a physic Hedgehog named Silver being introduced and more. But the story was on the back burner for me; I wanted to see what the new systems can add to the gameplay of Sonic, more so after the lackluster Shadow the Hedgehog. Then, E3 2006 came around and we got two stages shown off; Kingdom Valley for Sonic & Crisis City for Silver. The former looked like what I would expect a 3D Sonic game to play like and Silver’s gameplay appeared to be a nice blend of traditional 3D Sonic and elements of another SEGA prototype they had in production on the PS3 back then. Shadow was confirmed to come back via trailers and he would use cars and other such rides. So the pieces were coming together and many were very excited…..and the game released. After two years of hype, the released product shocked gamers worldwide, but for the wrong reasons. It was buggy, it felt unpolished, the realistic story telling was in your face all the time, the game never stopped loading and critics trashed the game left & right. What the heck happened? Well, Sonic Team was pressured to release the game in time for Sonic’s 15th Anniversary despite the fact three games released that year ignoring Sonic 06. 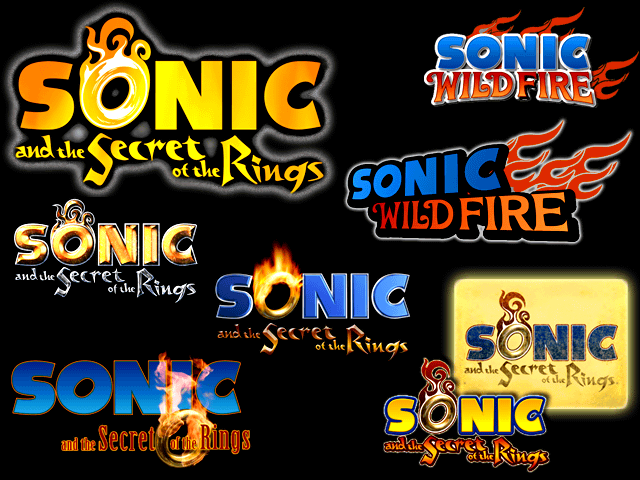 This forced Sonic Team to release the game at 71% Completion and many features not being in the final game; Silver not having a Speed Chip upgrade to move faster, Super Sonic being gutted, music select option, Amigo Characters (side characters you tag into action at specific points in stages) getting full campaigns ala Sonic Adventure 1, and more. Not helping matters was Yuji Naka and many people inside Sonic Team leaving mid-production to form POPE, a new studio to make new IP and fresh game ideas outside of Sonic. On top of this, we had Sonic Team split into TWO; the second half of the team worked on porting 06 to Nintendo’s Wii system and had to rework the game completely into something else to get the title ready in time for Early 2007. So a chaotic and confused Sonic Team was in a bad place at such a wrong time; releasing two products that fail to meet expectations. Well, Secret Rings is fun, and we will touch on that soon enough. So what about 06 many of you readers have NOT heard about at this point? The story is so-bad-its-outstanding at points, the game is very buggy and despite everything the soundtrack is one of the series best works. Will just leave this great video here and move on to what I enjoyed from 06, as I don’t think many of you want me to say the same things you heard everywhere else on the game. I think its a bad title that does a lot wrong but it does somethings I appreciate. What 06 does right is trying to go back to the more open level design we saw with Sonic Adventure. From wider locations, various paths you can take and unique ways various characters could tackle levels, you have options for replaying stages. Another good factor to the stages is despite the really off controls and buggy nature of the game, some of them are well designed. Tropical Jungle has a lot of fun platforming bits that make great usage of a water-run mechanic Sonic has in this stage. Kingdom Valley’s Mach Speed Section is another highlight, as its one of the better designed variants of that gameplay style for Sonic & paired up with this amazing track, its one of my most fond memories of 06. The story for Shadow should be noted too as unlike Sonic’s which is one of the worst Super Mario plots I have ever seen & Silver’s more or less being really bland, Shadow has some good stuff to work with. Team Dark has a tight connection, the VA’s do a good job with their acting for Shadow’s story (mostly) and some plot ideas are interesting (main foe trying to convince Shadow to be ‘evil’ after the events of Shadow the Hedgehog, Shadow continuing to be friends with someone who will harm him in the future, ect). It has problems like everything else in the game but like stories that try hard to be interesting. I even enjoy the basic concept of Silver the Hedgehog; slower Mario-like platforming in a Sonic game. Sadly unlike Billy Hatcher, Silver just suffers from too many issues to be anything more then ‘okay’. To be fair though, him and Shadow feel the least buggy to control and when the level design works, they offer some of the games most fun moments. And I cannot close this discussion about 06 without discussing the amazing soundtrack. Going to link to a full playlist of the soundtrack. It is touching, heartwarming, action packed and more. Its one of Sonic Team’s best and established the ground work that would later follow Unleashed, Colors and Lost World’s scores; less focus on rock and more on music variety. I cannot in all honestly recommend Sonic 06, as it does so much wrong. But its good bits are worth pointing out and I hope I touched on most of them with my discussion of the game here. Sonic 06 is the reason Sonic isn’t respected anymore by both the gaming community and the gaming press, as it will always be talked about years later. In fact, this year is the games anniversary and its worth highlighting that fans are finding ways to remake the game and fix the issues the title had. During the middle of Sonic 06’s production, the game was going to be ported to the Nintendo Wii. Considering how the game would be a demanding port to produce, a sizable portion of Sonic Team was split off to work on this port and nothing was working. Because of this, Sonic Team rebooted the project as an original title meant to take advantage of the Wii’s Motion Controller. The general idea was to make a game where Sonic keeps running forward but you can tilt the controller left & right, with other actions including Sonic’s Homing Attack by shaking the controller and the Speed Break which would send Sonic flying forward until the meter runs out. Sonic’s Wii adventure was set to release early in the systems life cycle dubbed Sonic Wild Fire considering Sonic having a flame emitting from his chest in this adventure. But it was later re-named Sonic & the Secret Rings and created the short lived ‘Storybook Series’, which are adventures Sonic tackles based on various tales and stories in books & legends. The next title in this series for example includes Sonic & the Black Knight set in the middle ages for example. Anyway, the game is more light hearted compared to Sonic 06 and it has humor. It also avoids the realistic art style, focusing on offering cartoony locations with bright colors. So Sonic is running among Dinosaurs, ruining through desert, and running through floating ruins in the sky. The story here is very simple; Sonic wakes up from a nap to a female gene asking for help. Sonic agrees and jumps inside a book, soon warping himself in a conflict to save the book’s world before the fire on his chest dies out. I like seeing Sonic being, well, Sonic again. Sonic 06 had Sonic being bland, boring and just generally being ‘safe’. Meaning, he just states the obvious and that’s it. With Secret Rings, Sonic cracks jokes and one liners once more. For the next Sonic right after Sonic 06, this was a relief to many fans of the series; the Sonic many grew to enjoy from the Adventure days is still going to be around. The game sadly has issues with level design & missions not being fun all the time, asking you to do very annoying missions like collecting Eggs or not getting hit with a path of spikes ahead of you. That wouldn’t be an issue, but the game doesn’t tell you WHAT missions you must complete to progress the story, making you feel forced to play every single mission. Gameplay isn’t much better in this regard, as while Sonic feels well enough, you unlock new skills to equip him as you ‘level him up’ with points you earn from completing missions. This means that to unlock better control options to make Sonic easier to control, you must play more of the game. That is not a massive issue….but Sonic has control issues. Having to tilt the controller backwards isn’t always responsive and level design can ask a lot from you (pressing the break button at the right points, missing your homing attack, ect). So locking out better control options is really dumb on Sonic Teams part here. But the presentation is where this game shines, as to this day, its one of the better looking games on the Wii. Great character models with lots of expressive detail & animation, rock-solid frame rate, and while divisive to some the soundtrack is really solid. Overall, Secret Rings has problems and is honestly just an okay game. But compared to Sonic 06? It was the far better Sonic title between the two. We covered the two sides of Sonic 06 and now we can move on to more Sonic adventures! Next time on Celebrating An Anniversary – Sonic the Hedgehog, we will be looking at Sonic Rush Adventure, the Sonic Rivals Series, Sonic Riders Zero Gravity & Sonic Chronicles: The Darkbrotherhood.